Featuring: Alan Parsons, with Allen Sides, Sylvia Massey, and Tony Brown. One of the prime functions of a recording studio is to create a recording that sounds ‘good’ in many different environments and on many different speaker systems. Studio monitors therefore need to be truthful and not flatter to deceive. Honesty can sometimes be brutal, which is one of the reasons behind the success of the classic nearfield Yamaha NS10M – few people’s favorite listening device, but one that has supplied a consistent level of sound reproduction for more than 30 years. Alan looks at all shape and size of monitoring device in this section, from nearfields like the NS10Ms to room-size behemoths that you can find in studios like Ocean Way. Alan also looks at all forms of headphone design and examines their role in recording, and the implications of a consumer population that currently largely listens to music on earbuds. imaging and the so-named center image, monitoring positions, volume, and much more. 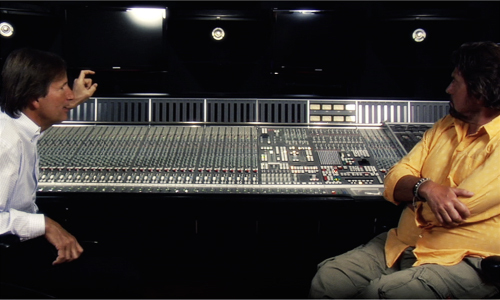 Alan Parsons has long championed enhanced monitoring systems such as ‘Quad’ (he produced a quad mix of Dark Side Of The Moon) and more recently 5.1 Surround. This section closes with a look at Surround Systems and their role in modern music production. Above all, what is important about any monitoring system is that you can trust what you hear and this section clearly sets out the parameters and practices to follow.